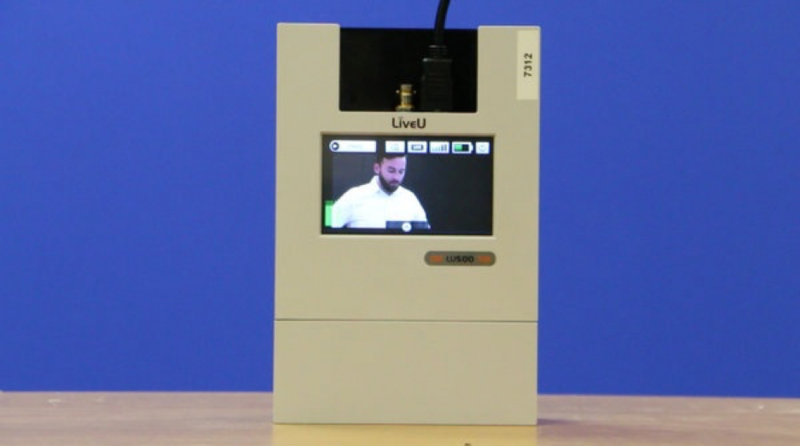 The connection between the LiveU Backpack and Switcher Studio is made using an HDMI cable. You will need a Lightning-to-HDMI adapter along with an HDMI cable to make the connection. Note that the Lightning-to-HDMI adapter has an additional Lighting adapter on it. 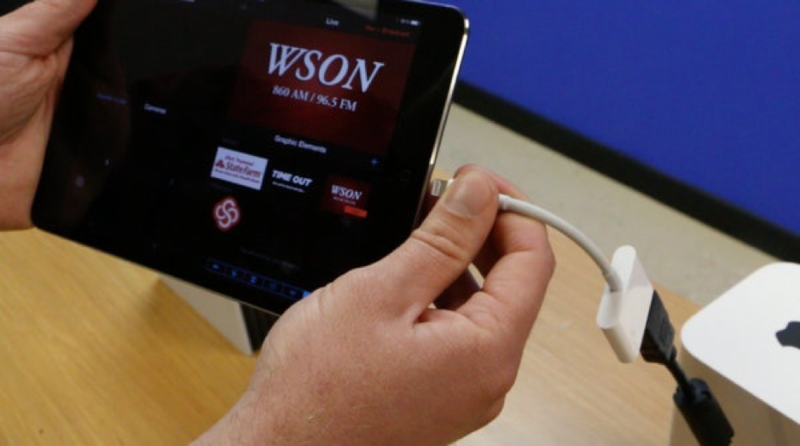 This can be used to charge the iOS device during the broadcast. 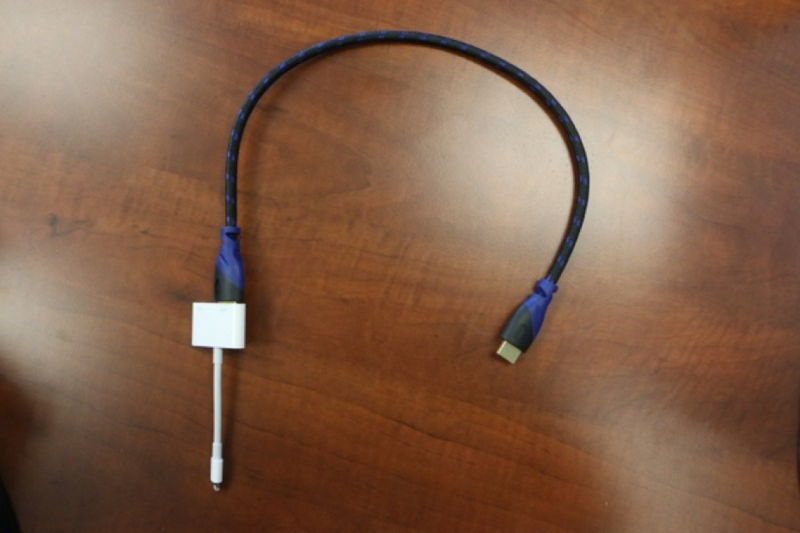 After connecting one end of the HDMI cable to the adapter, connect the adapter to your iOS device. 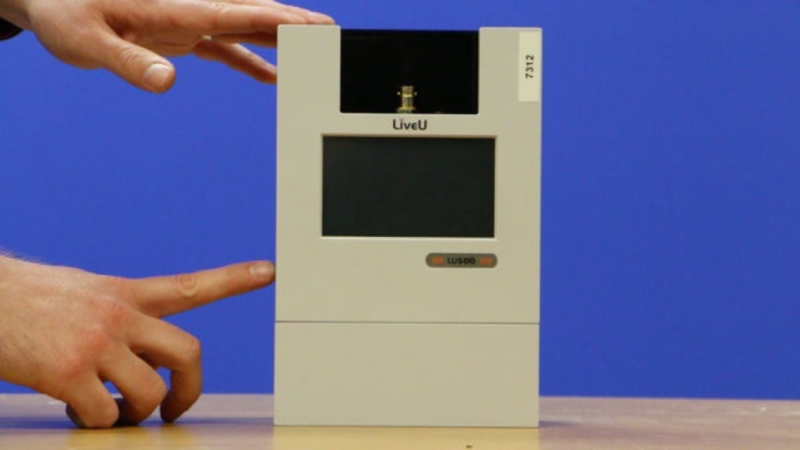 The HDMI connection on the LiveU backpack is located on the top. 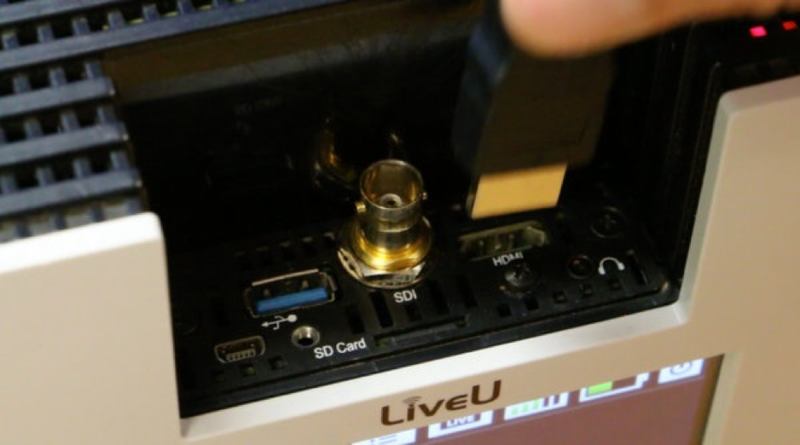 Connect the other end of the HDMI cable to the LiveU. Once all the connections have been made, power on the LiveU on. The power button is on the lower left of the unit. 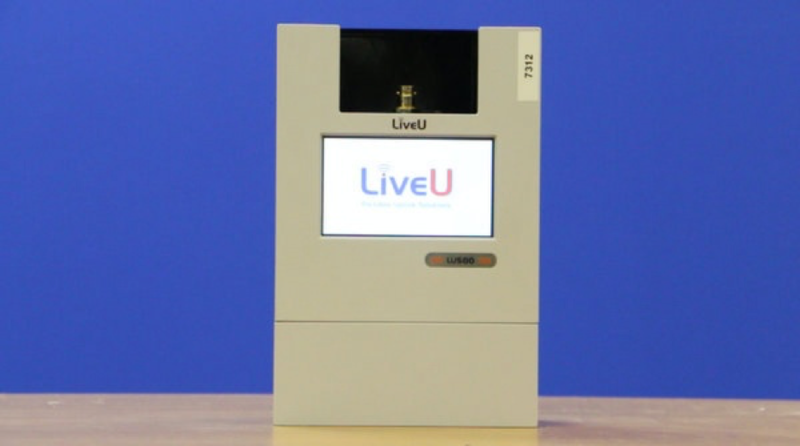 The screen will turn on telling you the LiveU is booting up. Please be patient, it can sometimes take a few minutes to start. Once the booting process has finished, a live preview will show up on the screen. Note: The screen on the LiveU is a touchscreen, navigate the menus by touching the LiveU interface. Once the video appears on the screen, and you are ready to go live, hit the “Ready” button on the LiveU screen to send your video to the CDN. Note: If you are using Switcher Studio, make sure the External Display is set to “Live” in the “Outputs” tab. 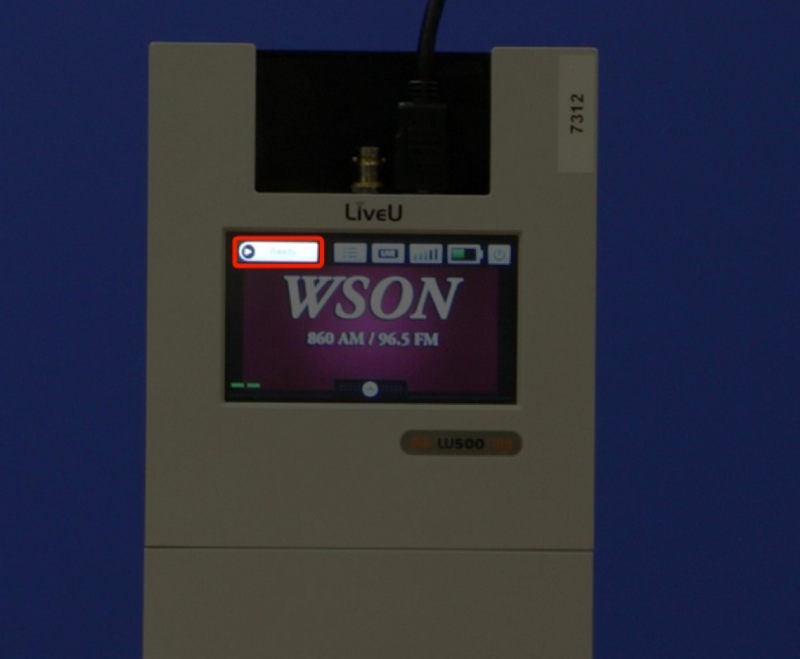 Once your event has ended, stop the broadcast using the button on the LiveU interface and power down the unit.